Add plants and trees to the perimeter of your property. Many homeowners like to put in soft plants and trees to prevent people from being about to see into their homes. This is often because these have a more natural look and feel. Experts in landscaping recommend evergreens because they never go completely bare and can be great barriers. If the home is taller than hedges, evergreen trees work well. Placing the right trees and plant around balconies can help as well. Even if you put in a fence with an entrance gate, you can add trees to block the look of the fence and leave your home with the natural look you want. Get the right residential fencing. The right residential fencing with a great entrance gate can give your home the privacy you want and a great look for your home. These also can provide more of a barrier than just plants and trees. If you are not attached to the idea of a natural look for your property or have less space, fences take up less space and are hardier than bushes and trees. You can get privacy fences that look good on the inside and out. Put up walls. These can be more permanent than residential fences and less vulnerable to the elements. These also can come in a wide variety of styles and colors. In Addition to that, they can work well with your entrance gate. You need to be careful with the walls you put in because, unlike plants, bushes, and fences, they can cause problems with your lawn drainage system. This should not be a deal breaker because the right residential fence installation can eliminate any problems with your drainage. Consider putting in a courtyard. Many homes in Europe and elsewhere, people build their homes so that the yard or garden is located on the inside and not the outside of the home. That is one way to have a courtyard. Otherwise, you can create a great outdoor space that is private by having a courtyard installed. To get to your outdoor living area, people have to go through at least one gate. You can also create an outdoor space that is private with trellises and gazebos. Cover your windows. The right window coverings can let in the light you want while keeping people from looking into your home. You can use blinds that open on the top and bottom. Sheer curtains with a pattern can obscure the view into your home. Heavier drapes can make a room feel very private and safe. A number of people find success with outdoor shades and shutters. Some can open and close with just the touch of a button. The right shutters can also do a lot to enhance the look of your home. When it comes to keeping a home safe and private, there are a lot of ways to do that. Fencing is a great way to keep your space separate from your neighbors. They often act a lot like guardrails on roads. 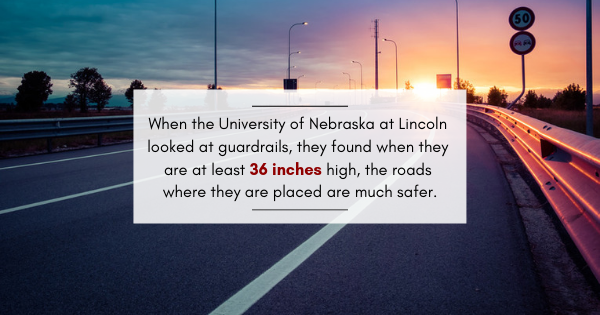 When the University of Nebraska at Lincoln looked at guardrails, they found when they are at least 36 inches high, the roads where they are placed are much safer. The very same can be said of the right sized residential fences and entrance gates can do the same thing for a home.